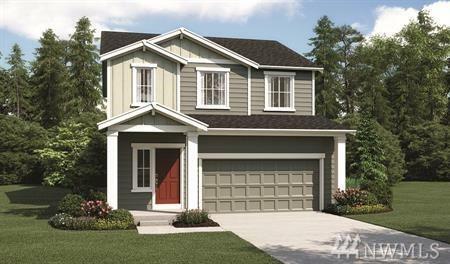 Lafayette From Richmond American Homes in Lacey w/ a dramatic 2 story entry,a great room with fireplace and an open dining flows into an inviting kitchen, w/ center island. Powder room and mudroom! Upstairs, A Roomy LOFT, three comfortable bedrooms, including a luxurious master suite with an attached bath and oversized walk-in closet. The Community is walking distance to park & retail amenities , short distance to JBLM. Call for details on energy efficiencies and warranty programs! Listing Courtesy of Richmond Realty Of Washington. The listing data relating to real estate for sale on this web site comes in part from the Northwest Multiple Listing Service. Real estate listings held by brokerage firms other than Homes on the Sound are marked by the "three tree" symbol; detailed information about such listings includes the names of the listing brokers. Data last updated 2019-04-20T21:15:19.73.